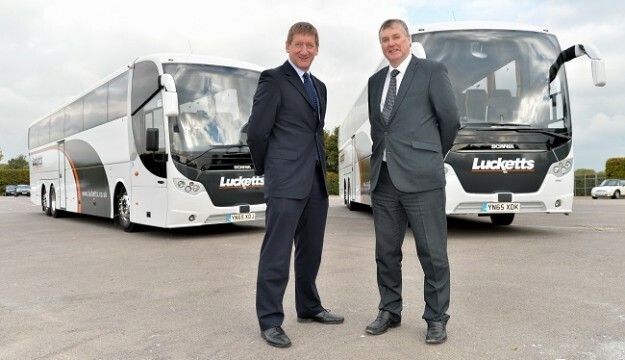 Lucketts Travel, the UK’s leading coach hire company, has just announced the addition of two new coaches to its fleet thanks to a £470,000 funding package from HSBC Commercial Banking. The funding, which is part of an £8 million equipment finance facility provided by the bank, will help the Fareham-based firm expand its services, including its UK and international private coach hire, National Express services and holiday and excursion programme. Ian Luckett, Managing Director of Lucketts Travel, said: “This year, we’re celebrating 20 years of banking with HSBC so we’re delighted to have finalised our most recent deal which has helped us grow our existing fleet and maintain a high standard across all our vehicles. Andrew Shorney, a senior Relationship Director at HSBC, was responsible for overseeing the transaction. Lucketts Travel has been operating in Fareham since 1926 and provides coach hire services across the South Coast, South West, London and the Home Counties.